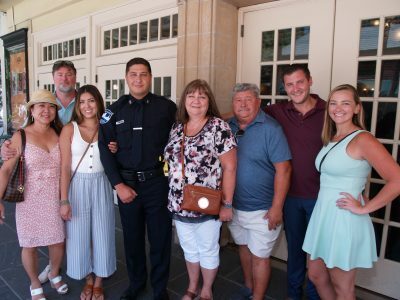 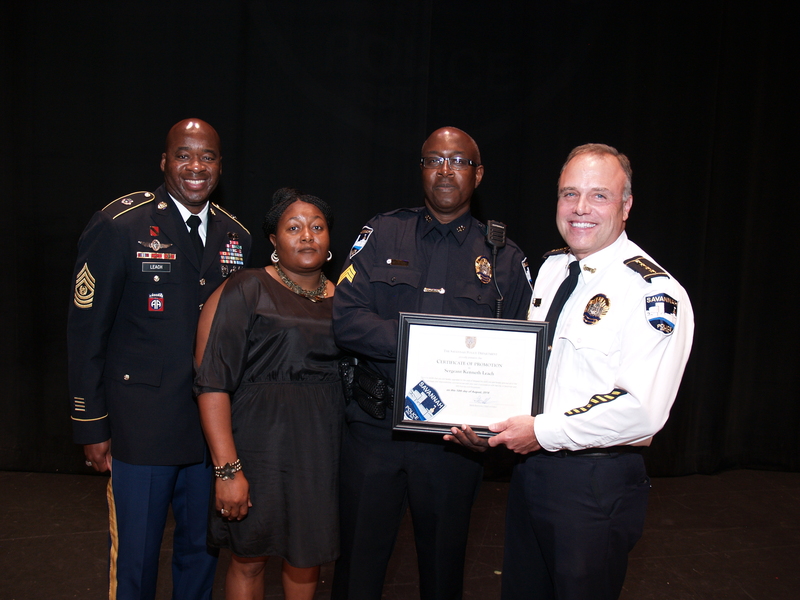 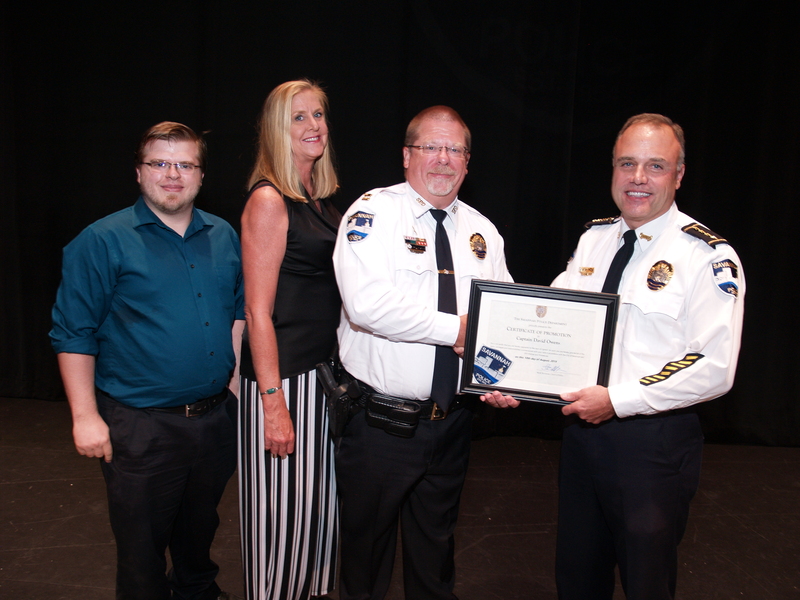 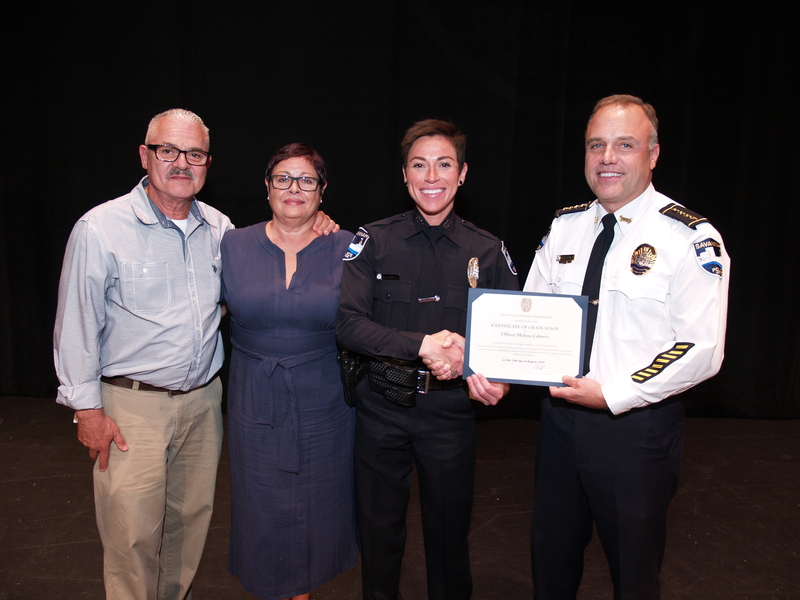 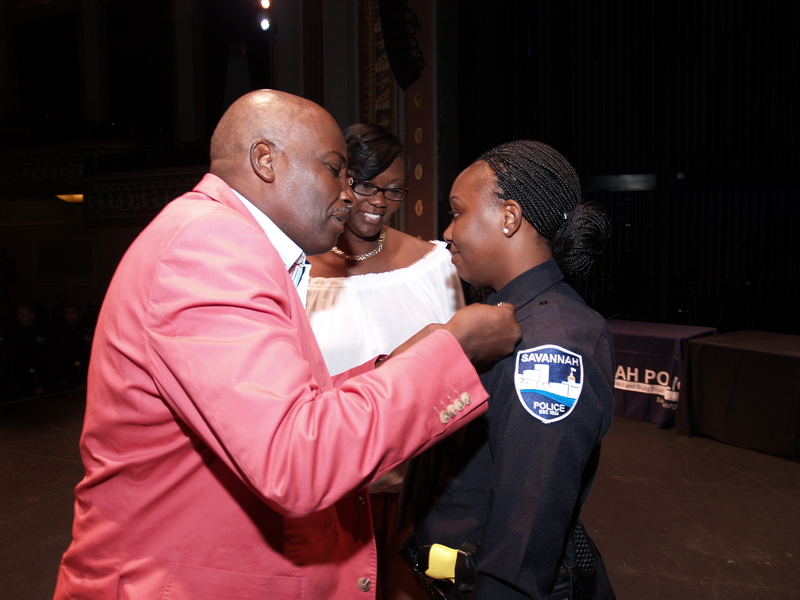 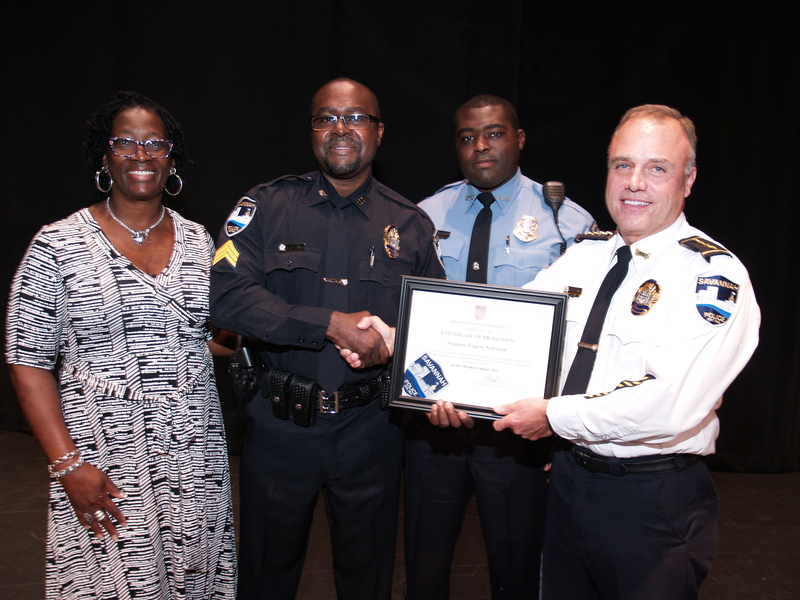 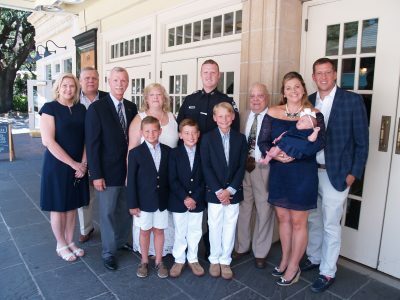 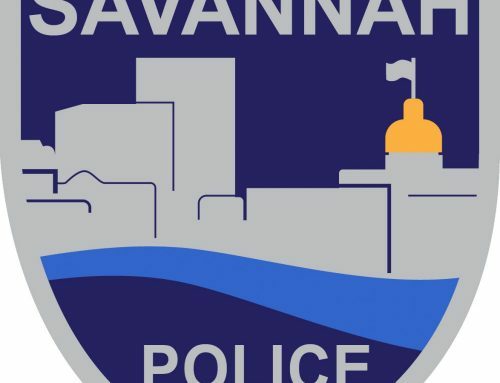 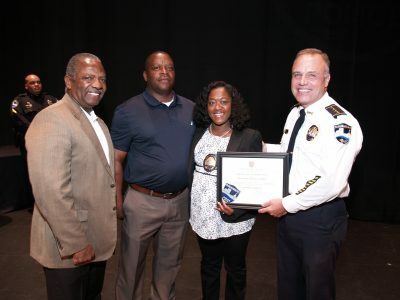 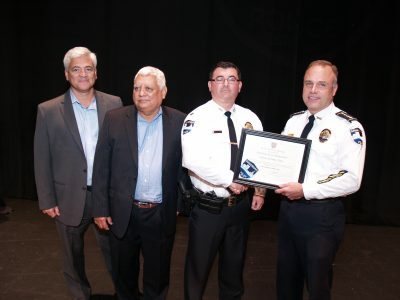 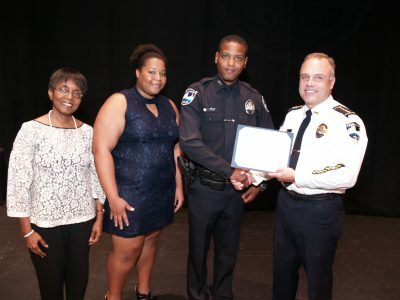 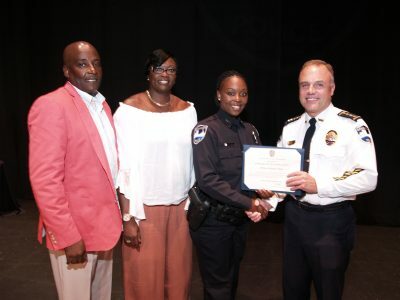 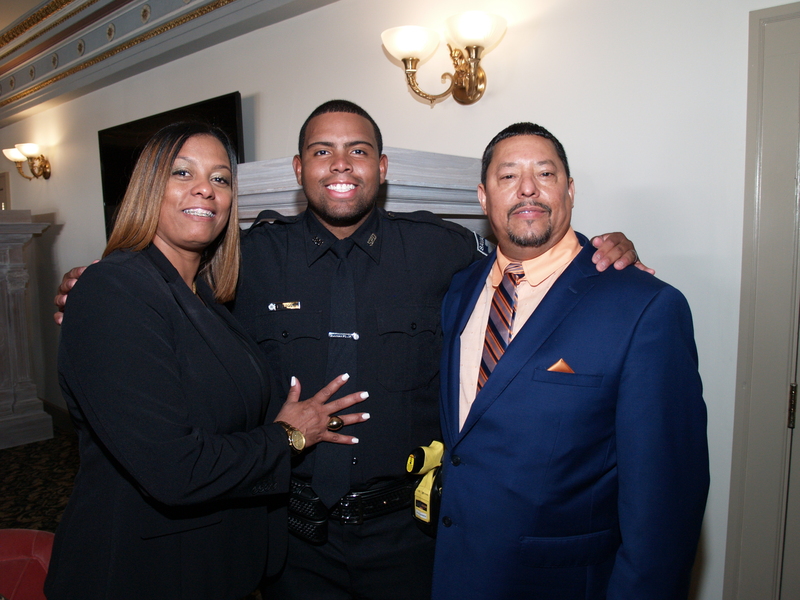 SAVANNAH, GA (August 10, 2018) – Family, friends and City of Savannah officials gathered this afternoon as the Savannah Police Department held a Promotion and Badge Pinning Ceremony. 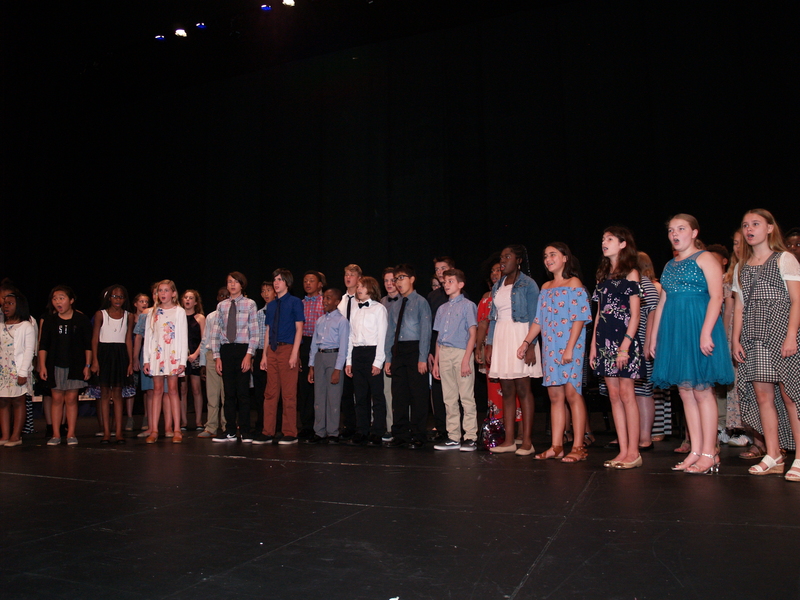 The ceremony took place at SCAD’s Lucas Theatre and featured the singing of the national anthem by the Garrison Voices of the Garrison Middle School Chorus. 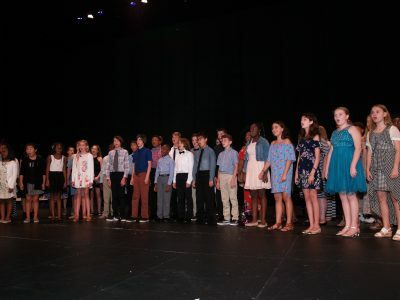 The Garrison Voices is comprised of 7th and 8th graders under the leadership of John Tisbert. 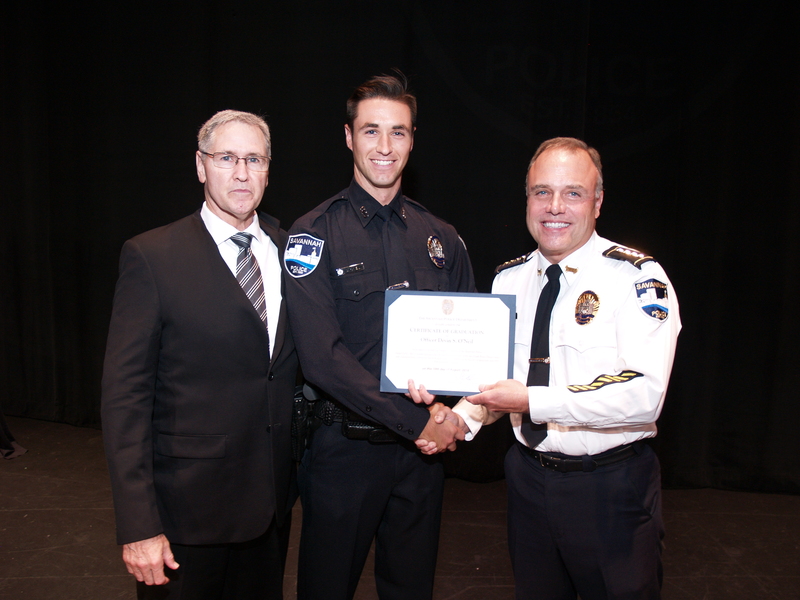 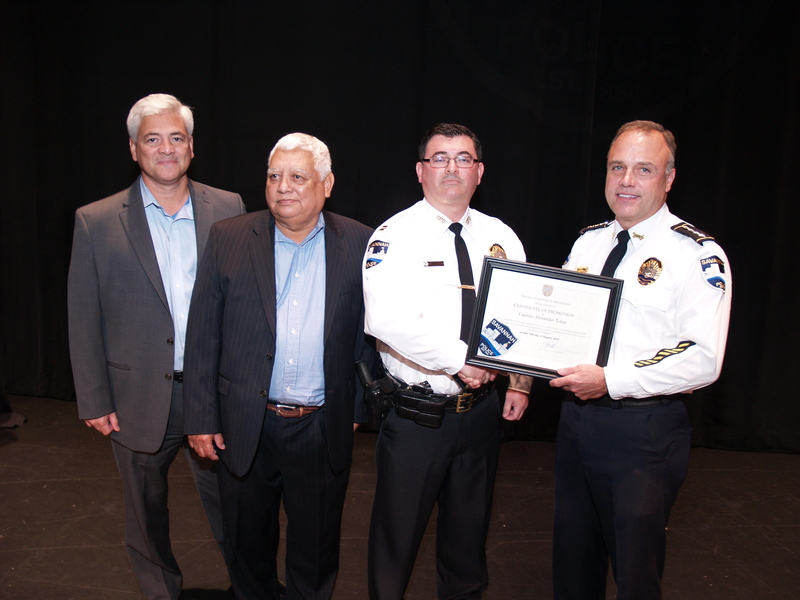 David Owens and Alexander Tobar were promoted to the rank of captain. Shamonica Badie and Raymond Retzer were promoted to the rank of lieutenant. 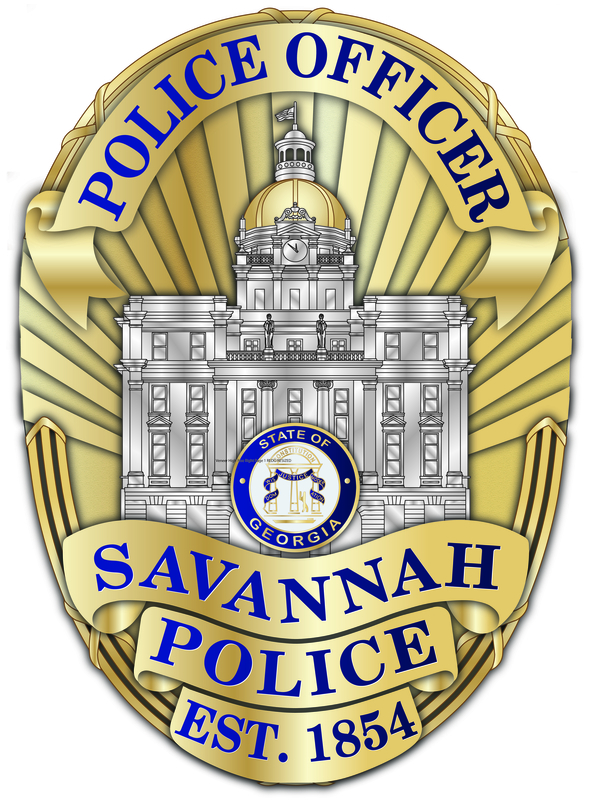 Seven officers were promoted to the rank of sergeant: Kelvin Ansari, John Garcia, Shawn Kinzer, Kenneth Leach, Eugene Solomon, Brian Spence and Richard Wiggins. 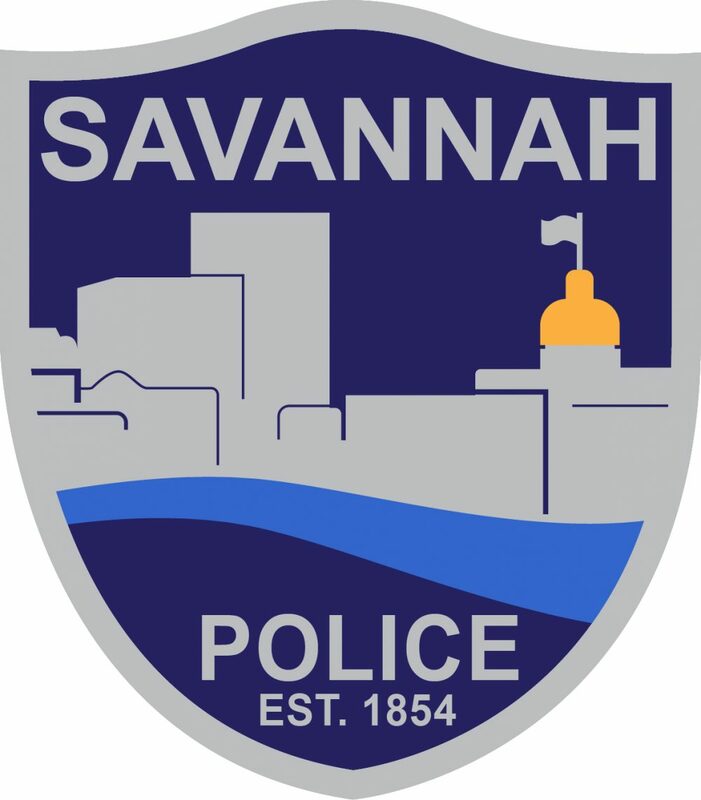 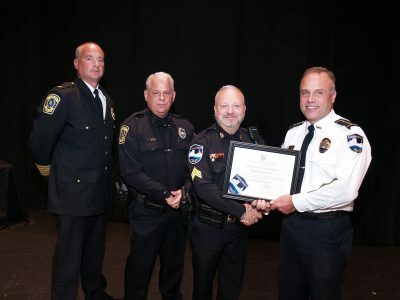 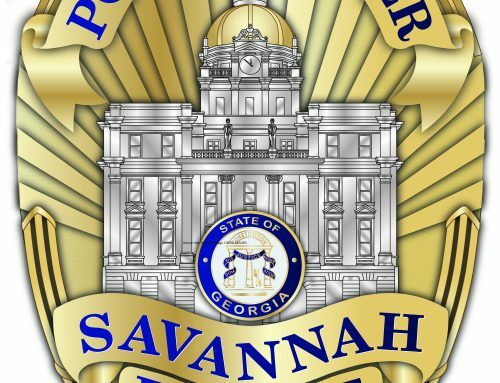 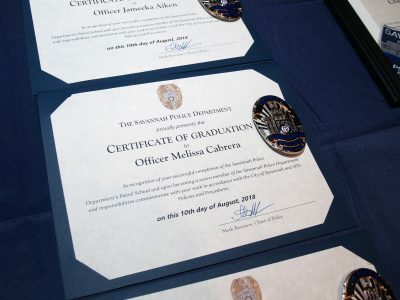 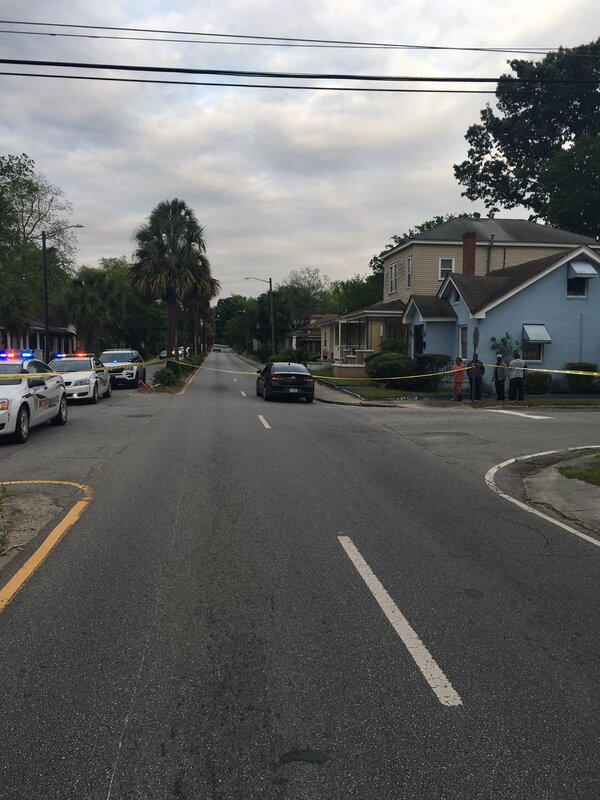 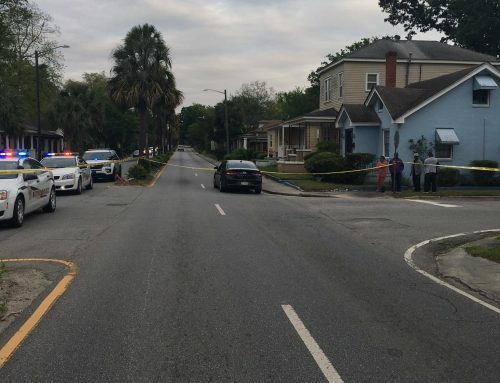 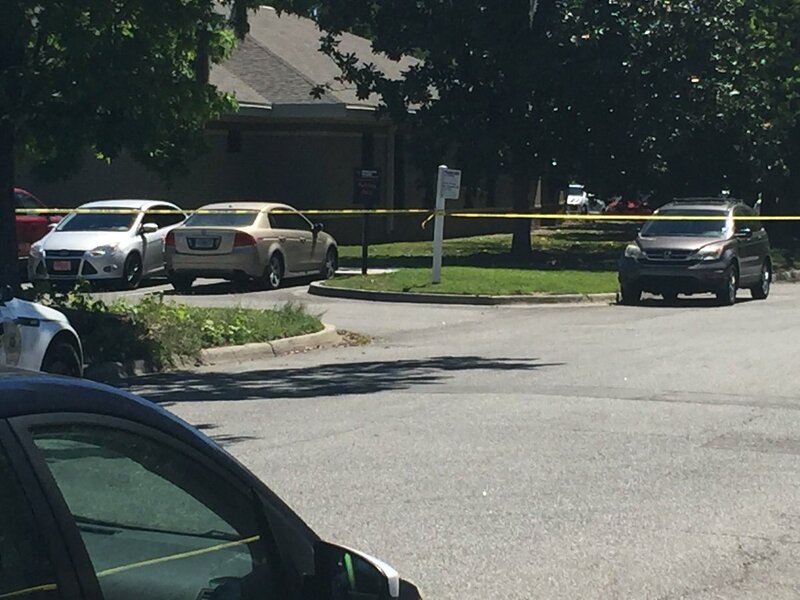 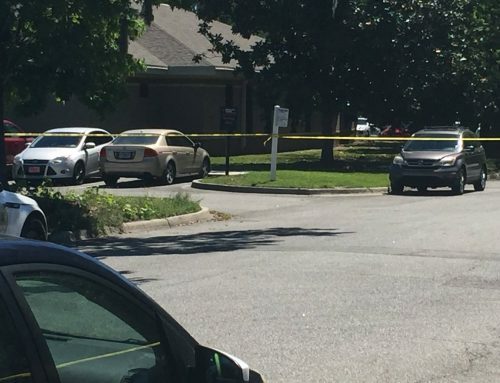 Four women and 13 men also graduated from the eight-week Savannah Police Patrol School, after completing 11 weeks of training at the Georgia Public Safety Training Center in Garden City. 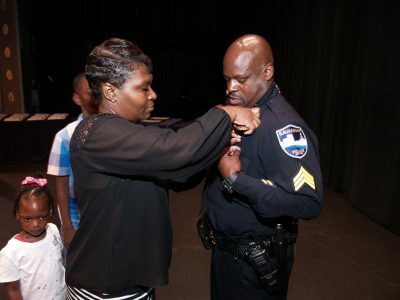 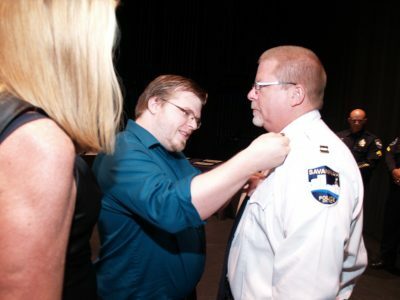 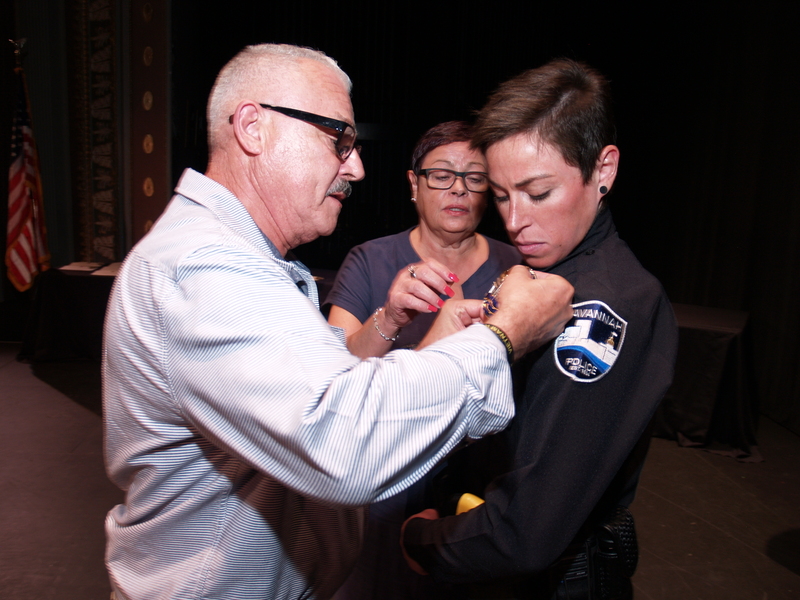 Their family and friends joined them on stage, where they were ceremoniously inducted into the department by the pinning of their official badges. 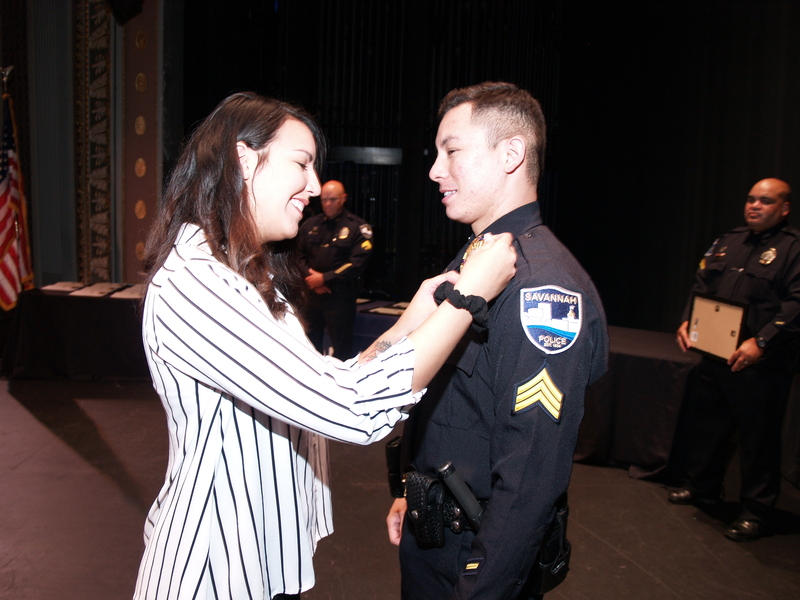 Congratulations to Officers Jameeka Aiken, Melissa Cabrera, Christian Cantave, John Dorsz, Jacob Duarte, Luis Esquina, Michael Grossman, Stephen Guyt, Tori Klug, Justin Milam, Ernest Mobley III, Devin O’Neil, Robert Parker, Jessica Pepin, Matthew Purdee, Hunter Tuttle and Victor Wong.